For more than 30 years, The Bug Man has provided environmentally responsible residential pest control services for the greater Portland, Oregon, and Vancouver, Washington, metro areas. We also provide home inspections! All of our pest control technicians are state-licensed and receive continuing education to keep up with the latest advancements in the pest control industry. Your tech will help you make the right decision regarding one-time service, monthly service, quarterly, biannual, or annual service. We want you to be confident that you’ve chosen the right pest control service for your needs. If you have any questions whatsoever about any of our services — or if you have a question about what pest might be causing a nuisance in your home — please don’t hesitate to give us a call. If you’re in Vancouver, it’s 360-693-1955. Your home is your castle. Unfortunately, it can sometimes seem that the castle is being stormed — by bugs, rodents and all sorts of other nuisance pests. The Bug Man’s pest control services are not some “one size fits all” approach. Far from it. After three decades in business, we understand that residential pest control requires a mix of one-off services and routine check-ups. The Bug Man’s pest control experts will formulate a personalized plan that works best for your individual needs. Rest assured that if we can solve your pest problem in one visit, we’ll do so. But if the problem requires multiple trips and multiple treatments, then we’ll work with you to plan a program to address ongoing issues. No matter what pest problem is bugging you — ants, termites, roaches, bed bugs, rats, fleas — nobody handles residential pest control better than The Bug Man. What’s more, we are absolutely dedicated to solving your residential pest problem while having little or no impact on the environment. First off, if there is a way to solve the pest problem using a nonproduct approach, we will definitely use it. Second, we utilize what’s known as Integrated Pest Management (IPM) for most residential pest control jobs. IPM is an ecosystem-based strategy that focuses on the long-term prevention of pest problems by utilizing a multifaceted approach that includes biological control, habitat manipulation, modification of cultural practices, and the use of resistant varieties. Finally, we use only products certified by the Environmental Protection Agency. Can’t I do this myself? Why should I hire a professional? If you have tried to handle your pest problem on your own and continue to have issues, you should call The Bug Man. That depends on your pest issue. Call The Bug Man to discuss treatment programs options and expected results. What types of pests are common around Portland Oregon? Pest Ants, Carpenter Ants, Rodents, Roaches, Silverfish, Spiders, Carpet Beetles, Stored Product Pests, Termites, Yellow Jackets, Wasps – and the list goes on. What are the hazards that these pests pose for my home? My family? My pets? Some pests are a nuisance and you just do not want to see them in your home. Carpenter Ants and Termites are Structural pests and can damage your home and need to be addressed by a pest control specialist. Rodents and roaches do carry disease and can be a health hazard. Bed Bugs are a health hazard and must be handled by a professional. The Bug Man offers a variety of treatment plans which are designed for each specific pest issue. Call the office for detailed information. What is the advantage of baits? Of sprays? With baits you do not need to leave your home for treatment. Baits are a good option if you cannot leave your home for a few hours. Sprays are an important option for the control of carpenter ants, pest ants, roaches and many other pests. For rodents we can use baits, trapping, building out and so on. How did these pests get in my home in the first place? Sometimes there’s no reasonable explanation for pests and rodents in your home. They’re just in our environment. How can I prevent them from coming again? It is important to keep vegetation 3-4 feet away from the exterior foundation of your home. Trim back shrubs and trees that are touching your house. Keep garbage areas clean and clear of debris. Recycle cardboard, pop cans and other recyclable materials routinely. 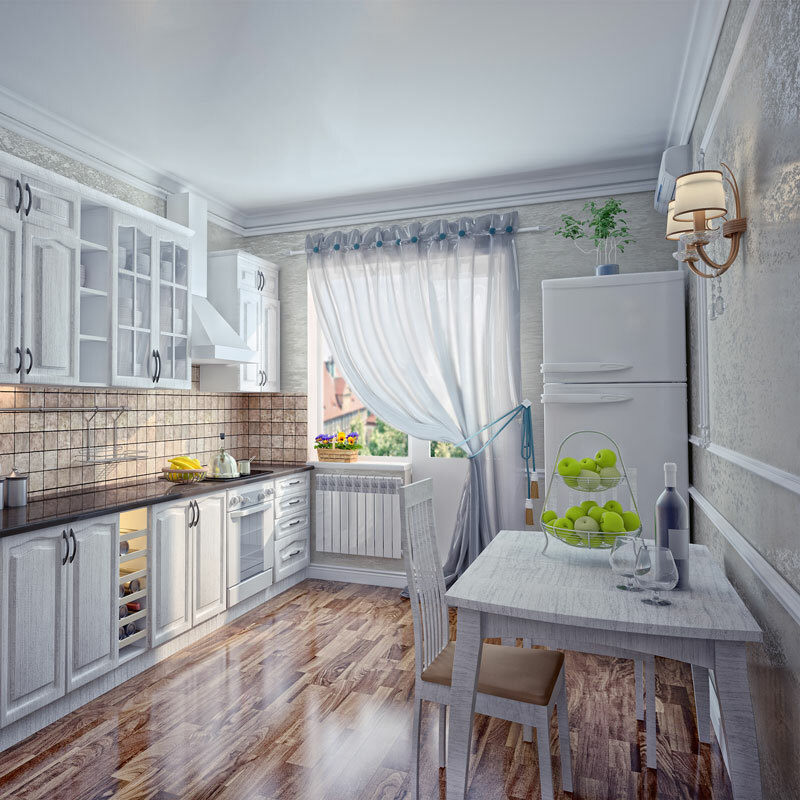 Keep kitchen area clean and take out garbage routinely. If you note a moisture problem, this attracts a variety of pests. Try to correct moisture problem by caulking windows, making sure that your roof is in good repair, basic home repairs are taken care of. I have a few ants or other critters. Is that enough to worry about? Yes, a few can become many. What are clear-cut indications that I have a pest infestation? Seeing numbers of the specific pest inside your house or trailing along the exterior foundation stem wall of your home, around trees, on utility wires and gutters. Noise in attic or crawl space, rodent droppings, buzzing noise. All of these observations are reason for concern and warrant a call to The Bug Man. My pests are in the house. Why are you working outside? Carpenter Ants, pest ants, other pests can infest the wall voids of your home. We can treat the wall voids of your home from the exterior as well as the foundation stem wall to stop them from entering your home. Aren’t insects good for the environment? Should I really be killing them? Some insects are good. Insects that cause damage to your home need to be addressed. Call The Bug Man for advice. Will your treatment affect my lawn? My garden? NO, we avoid lawns and garden spaces. Will your treatment affect the safety of the fruit and vegetables that I am growing? We avoid fruit or vegetable areas. Why does it take more than one treatment for bed bugs, fleas and ticks? These bugs can be resistant to treatment protocols and their sheer numbers can require multiple treatments for control. Why would I consider scheduled pest service, especially if I don’t see evidence of pests? Scheduled pest service over time cuts down on ant activity, spiders, and other pests that cross the same paths as the treatment plan. Rodents have become a habitual problem for many customers and routine monitoring service would be advised. Each pest problem is treated on an individual basis. We are not a one size fits all company. We are a targeted pest control company and strive to be environmentally responsible which means using the least invasive approach necessary to achieve control. Some issues need routine pest control service to achieve the proper control. What are the after-effects of your treatment? What do I need to do to stay safe? We ask that customers for some treatments stay out of their homes for 3 hours. This is more for comfort due to possible odors from products. Once you return to your home it is safe to move around as you would normally. There are specific protocols for specific treatments and we outline these protocols for you before your scheduled treatment. We strive to place products in areas where you won’t come into contact with them. For example; wall voids, attics & crawl spaces, cracks & crevices. If you have a medical condition that could be affected by any product, please discuss this with the office staff before your scheduled appointment. Can you just quote me a price without doing a preliminary inspection? For most issues we can give you a quote over the phone. Some issues we do need to Bid. Call the office with your specific pest problem and we can schedule as appropriate. I don’t feel comfortable letting strangers in my home. How do I know it is safe? The Bug Man is licensed and bonded. We have been in business for 30+ years. You can always check us out with the Better Business Bureau and the Oregon Department of Agriculture. Our hours are Monday through Friday typically 8AM to 5PM. Do I need to be out of the house when you do your job? This depends on the issue we are treating. Call the office for specific information. All of our Technicians are licensed through the Oregon and Washington Departments of Agriculture. To be licensed our Technicians have to pass specific licensing tests. Also, to maintain their license, they must complete 40 hours of continued education in a 5 year period. Cash, Check, Visa, Mastercard, Discovery Card. The primary pest issues which customers contact us about are listed on our Know Your Bugs page.